The brain does not have pain receptors but, the meninges (covering around the brain) and scalp have pain receptors. Technically, the brain itself cannot feel pain but the nerves can. Post Trauma Nerve pain commonly results from a concussion. A concussion can be caused by a severe blow to the head or sudden jolting like in a car accident or fall from a height. This pain requires medical treatment to see if there are complications like bleeding in or around the brain or physical damage to the brain. Sometimes the pain is delayed and arises hours or days after the injury. Neck trauma can occur in these situations as well and should be investigated too. All need to be properly diagnosed to avoid serious complications. Intracranial Pressure is increased in pressure within the skull that puts pressure on the brain and nerves. There is normally some fluid around the brain but certain conditions can cause this to vary: brain tumors, underactive parathyroid glands, to obstructions in the drainage of the veins inside the skull. Tumors can cause headaches, but usually are rare in occurrence. Symptoms depend on the size and location of the tumor. These symptoms develop through slow progression and increase the pressure within the brain resulting in a steady loss of control in the face, head, and body. Personality changes can also occur, as well as, visual, hearing and sense of smell. Tumor type, location, and diagnosis influence the outcome. 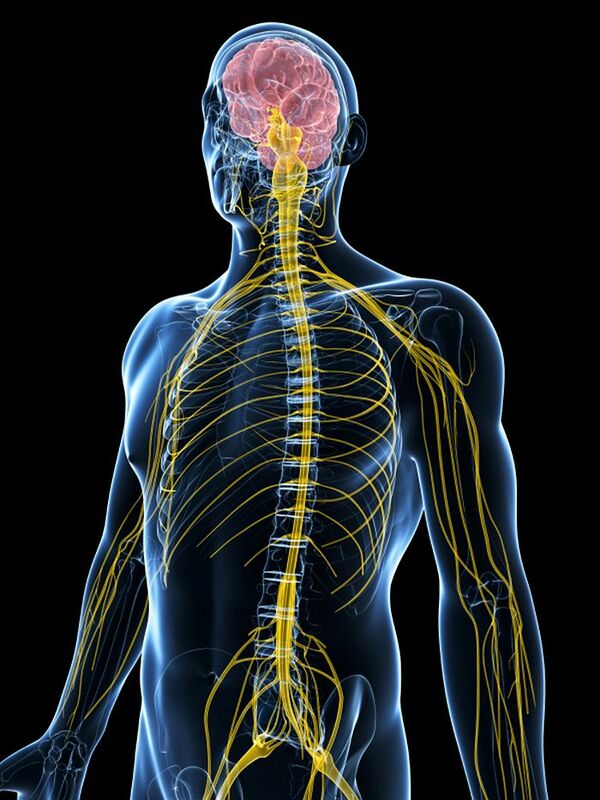 The final cause of brain nerve pain is Brain and Nerve Diseases and Damage. Conditions like Multiple Sclerosis can affect the brain stem and cerebellum. Conditions like this cause inflammation or degeneration of nerve tissue in the brain, spinal cord, and nerves throughout the body. Some conditions involve inflammation or degeneration of nerve tissue in the brain, spinal cord, and/or nerves in the body itself. This situation can cause irritation to these nerves and consequently can lead to pain in the head and face regions. There are many causes of brain nerve pain. They all require immediate attention and investigation to diagnose the cause or the pain.